Let’s face it: in our modern age of science and technology, we don’t often give much thought to the demonic, other than maybe in horror movies. 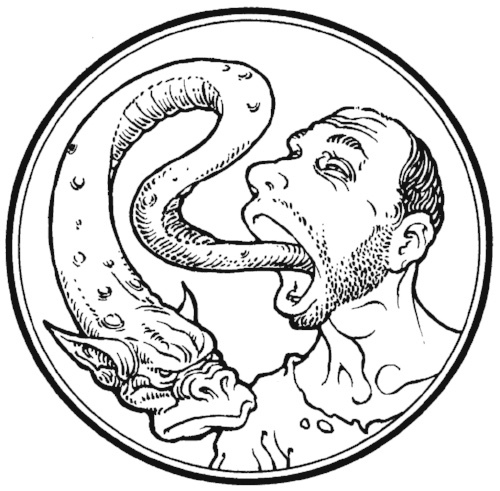 Our bulletin cover this week, illustrating the mute demon that Jesus’ cast out, forces us to look at the horror of what the devil wrought upon that poor man. And it’s a reminder of just some of the evil that Jesus came to rescue us from and undo. If that’s what was inside us, no wonder we need a Savior! That’s this weekend as we celebrate Oculi – the Third Sunday in Lent. Very important VOTERS MEETINGS THIS SUNDAY, right after worship. (There is NO Learning the Faith this week). We have to have two meetings because of the Bylaws. The first meeting will present the proposed changes to the Bylaws and the second meeting (immediately following) will have the vote on the changes. Please make sure to attend! Please join us WEDNESDAYS in Lent for SUPPER at 6 PM and EVENING PRAYER WITH COMMUNION at 7 PM. Lent is a good time to take some extra time to hear the Good News of our Savior and His work for us. FAMILY FUN NIGHT will be here before you know it! It’s FRIDAY, APRIL 12 from 5 to 8 PM. Basket raffle, silent auction, facepainting, food, games, prizes, Pie-the-pastor and lots more! We have great items for our raffles and auctions including Disney Park Hoppers, Shed Aquarium tickets, White Sox tickets, and lots of gift cards and merchandise from local businesses! See you there! The EASTER EGG HUNT is SATURDAY, APRIL 13 at 10 AM. 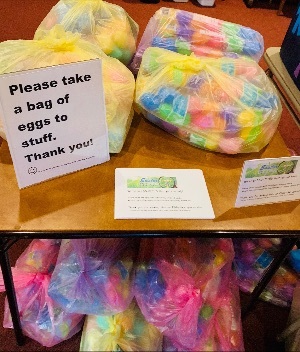 We STILL NEED BAGS OF EGGS FILLED, so if you haven’t already, or you could possibly fill another bag, please grab one and return it by SUNDAY, MARCH 31. Bags of 100 are on the table and bags of 50 under the coat rack! Just a few bags left! Your help is appreciated to get those 4000 eggs ready for the hunt! When God stretches out His finger, He saves us. He points to the devil and bids him to flee and He uses His finger to bid us come to Him. It’s the finger of God we’re reminded of in the fingers that trace the sign of the cross, the means of our salvation.